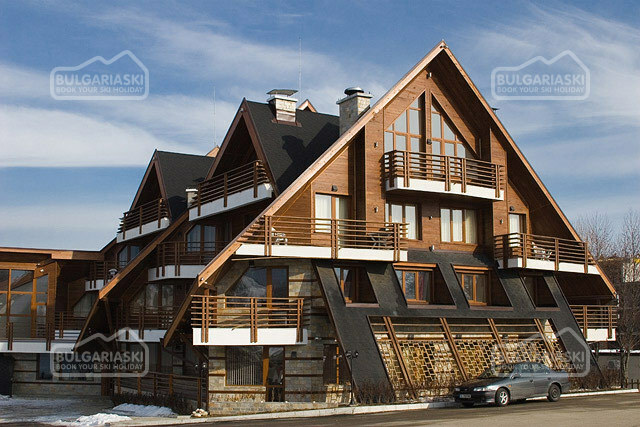 Redenka Golf and Ski Club complex in Bansko mountain resort in Bulgaria. 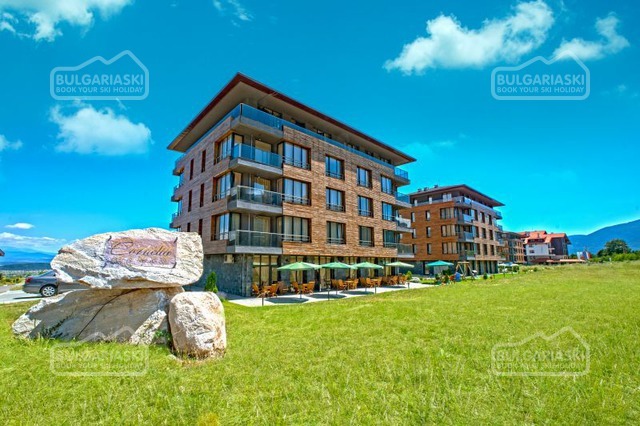 Location: Redenka Golf & Ski Club is a gated complex, overlooking the gorgeous Pirin Mountains on the South and the Rila Mountains on the North. 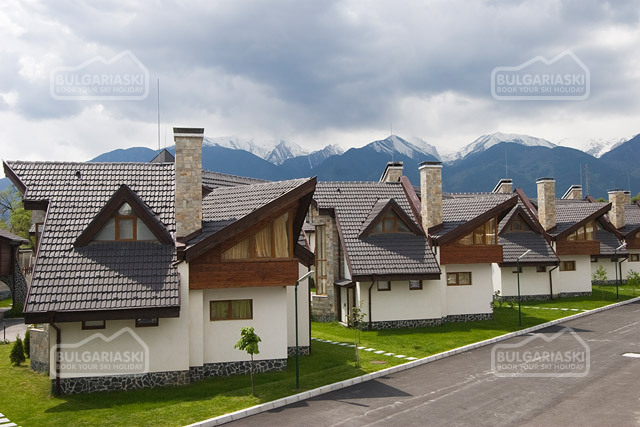 This complex comprises of ski chalets and apartments and is located just 1.5 miles from Ian Woosnam’s exclusive 18-hole golf course at the Pirin Golf and Country Club, 5 miles from Bulgaria’s premier Ski resort at Bansko, 3 miles from the newly developing Ski resort at Kulinoto and just a mile or so from the state-of-the-art Katarino Spa Resort. Wine & dine: Redenka Golf & Ski Club offers unique Bulgarian restaurant Ethno. 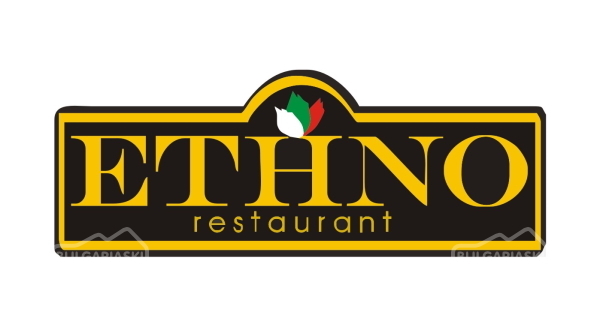 ETHNO tavern offers exclusively Bulgarian national cuisine and drinks, preserved and selected from all regions of Bulgaria. 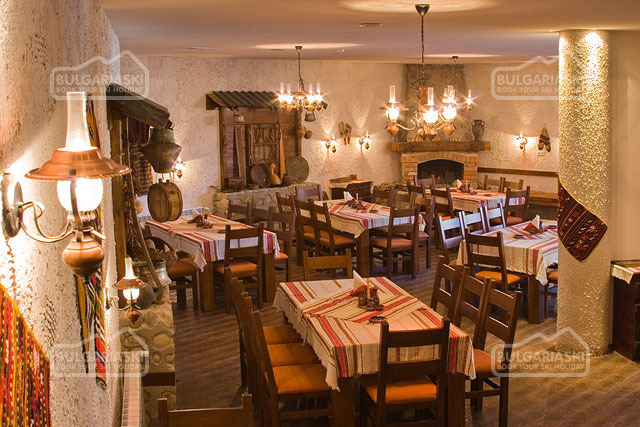 Do not miss the specialties from Bansko region and the unforgettable taste of the Melnik wines. Only here guests can taste the original old recipes, preserved and kept over the centuries, of Banski staretz, kapama, sweet stuffed wine leaves, fresh trout in tomato sauce, roasted lamb with drob-sarma, home-made banitza etc. Sport and Recreation: Redenka Golf & Ski Clib offers wide range of sport activities, such as tennis court, sauna, fitness centre, golf course (within 3 km), skiing, spa & wellness centre, massage, jacuzzi, hammam, ski school, indoor swimming pool, outdoor swimming pool. Services: Guests of Redenka Golf & Spa club can take advantage of the following services: - Room Service; - Airport Shuttle; - Business Centre; - Babysitting/ Child Services; - Currency Exchange; - Bicycle Rental; - Car Rental; - Wireless internet is available in public areas only and is free of charge; - Free parking is possible on site. Transport: A free shuttle bus is running to Bansko in the morning (first station of the Gondola) and back in the afternoon. Guests who wish to visit Bansko or the surrounding areas or towns can use the services of private taxis. We are also organizing shopping trips, sightseeing tours, and other services on request. We stayed at the Redenka complex in one of the Chalets in July and had a great time. 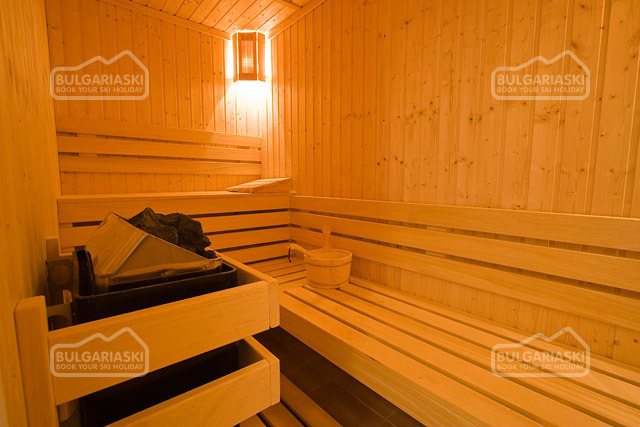 There is an outdoor and indoor pool, children's play area, bar, restaurant, tennis courts, sauna, gym etc. The surroundings are truly beautiful and the food in the Restaurant is delicious! The Chalet was very clean and modern. We are going back again in 2009! What a fantastice place to stay ideally located with great communictaions for the slopes and town............highly recommend the villas......modern and very well furnished for groups and families. Please, post a comment on Redenka Golf and Ski Club.